Not a lot of room in your pocket, but still need to carry a dependable knife? Consider the Kershaw Squaw Creek 2150MOP. It is just over 2.5 inches long and weighs a slight 1.4 ounces. 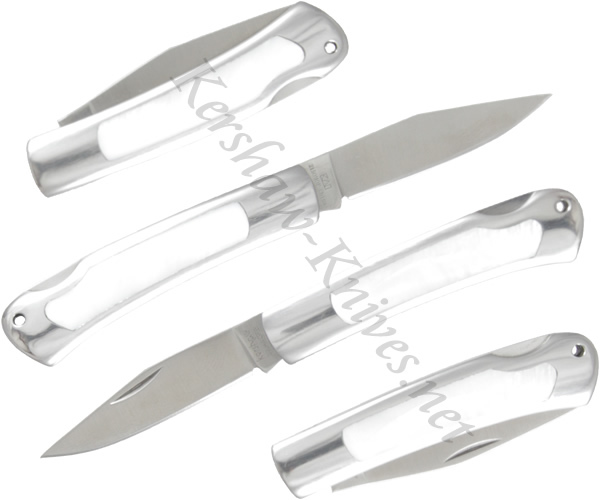 The blade is constructed of AUS6A stainless steel and opens with a nail nick. It is locked into place with a lockback. The handle is satin finish steel with a mother of pearl inlay that makes the Kershaw Squaw Creek both functional and handsome.